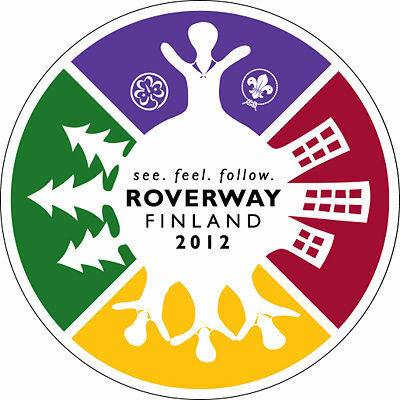 Roverway 2012 Finland 20th - 29th July. 19th July: I met Skip, Charlie, Alex, Natasa, Olivia and Natalie at Tampere Bus Station. too scared to get out so the leaders could use the Sauna. on a small island in the lake and cooked pea soup for lunch. leaders shared some nice quotes and ideas with us. the lake after. We cooked dinner and got an early night. potato soup, Belgian biscuits, Austrian Pancakes, Finnish Sausages. It was yummy. hearts, to the Silent disco, where everyone had headphones to listen to what the DJs were playing. Holland house. I bumped into someone that was in my tribe at the Roverway in Iceland, which was amazing. message and put it in a balloon for someone to read. get one at camp that wasn't ice cold was to wake up at 6am! couldn't find cake. Once we returned, we got the coach to the airport where me and the rest of the contingent parted ways.